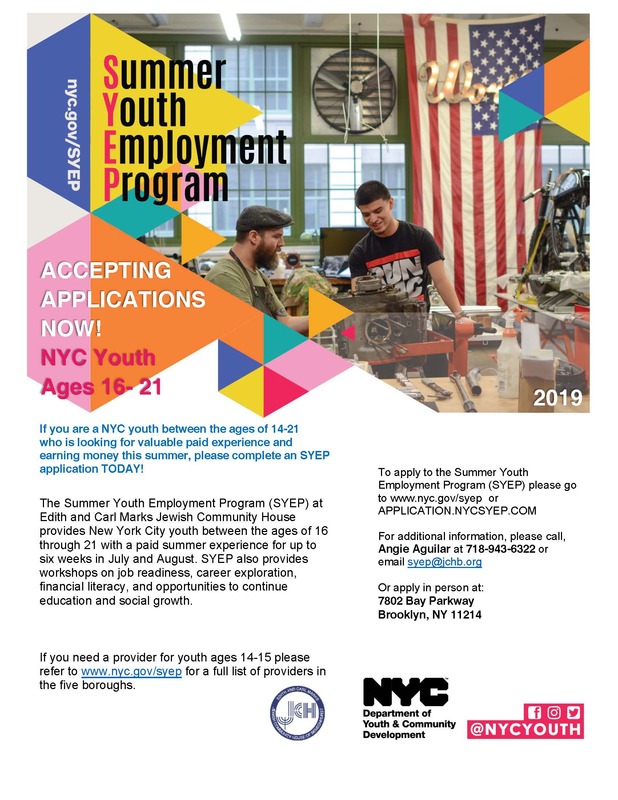 The Summer Youth Employment Program (SYEP) provides New York City youth ages 16 to 21 with summer employment and educational opportunities. Participants work at government agencies, summer camps, nonprofits, small businesses, law firms, museums, sports enterprises, and retail organizations. Schedule: Starts in July; all placements are 6 weeks long. The Work, Learn & Grow (WLG) provides New York City youth ages 16 to 21 with year round employment and educational opportunities. Participants work at government agencies, afterschool programs, nonprofits, small businesses, law firms, cell phone stores, and retail organizations.